Andalusia (; Spanish: Andalucía [andaluˈθi.a, -si.a]) is an autonomous community in southern Spain. It is the most populated and the second largest in area of the autonomous communities in the country. The Andalusian autonomous community is officially recognised as "historical nationality". The territory is divided into eight provinces: Almería, Cádiz, Córdoba, Granada, Huelva, Jaén, Málaga and Seville. Its capital is the city of Seville (Spanish: Sevilla). The name "Andalusia" is derived from the Arabic word Al-Andalus (الأندلس). The region's history and culture have been influenced by the native Iberians, Phoenicians, Carthaginians, Greeks, Romans, Vandals, Visigoths, Byzantines, Jews, Romani, Muslim Moors and the Castilian and other Christian North Iberian nationalities who reconquered and settled the area in the latter phases of the Reconquista. 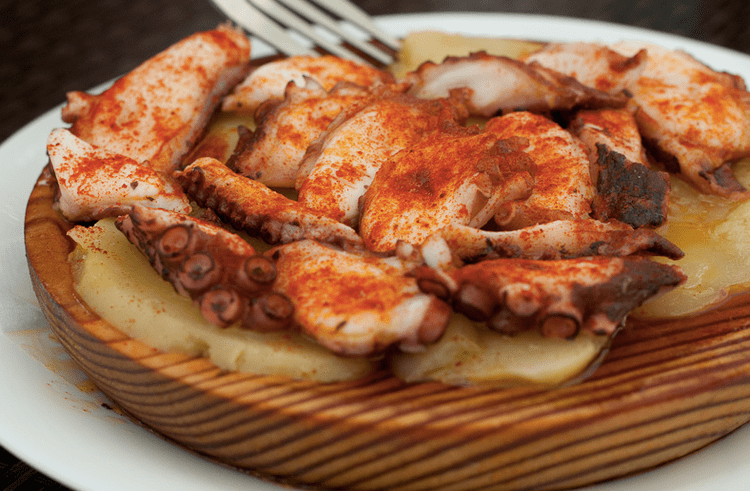 Andalusia has been a traditionally agricultural region, compared to the rest of Spain and the rest of Europe. However, the growth of the community especially in the sectors of industry and services was above average in Spain and higher than many communities in the Eurozone. The region has a rich culture and a strong identity. Many cultural phenomena that are seen internationally as distinctively Spanish are largely or entirely Andalusian in origin. These include flamenco and, to a lesser extent, bullfighting and Hispano-Moorish architectural styles both of which are also prevalent in other regions of Spain. Its present form is certainly derived from the Arabic name for Muslim Iberia, "Al-Andalus". However, the etymology of the name "Al-Andalus" is disputed, and the extent of Iberian territory encompassed by the name has changed over the centuries. The Andalusian coat of arms shows the figure of Hercules and two lions between the two pillars of Hercules that tradition situates on either side of the Strait of Gibraltar. An inscription below, superimposed on an image of the flag of Andalusia reads Andalucía por sí, para España y la Humanidad ("Andalusia for herself, Spain and Humanity"). Over the two columns is a semicircular arch in the colors of the flag of Andalusia, with the Latin words Dominator Hercules Fundator (Lord Hercules is the Founder) superimposed. With the fall of the Phoenician cities, Carthage became the dominant sea power of the western Mediterranean and the most important trading partner for the Phoenician towns along the Andalusian coast. Between the First and Second Punic Wars, Carthage extended its control beyond Andalucia to include all of Iberia except the Basque Country. Andalusia was the major staging ground for the war with Rome led by the Carthaginian general Hannibal Barca. The Romans defeated the Carthaginians and conquered Andalusia, the region being renamed Baetica. It was fully incorporated into the Roman Empire, and from this region came many Roman magistrates and senators, as well as the emperors Trajan and (most likely) Hadrian. The Visigothic era came to an abrupt end in 711 with the Umayyad conquest of Hispania by the Umayyad general Tariq ibn Ziyad, an Islamic Berber. Tariq is known in Spanish history and legend as a formidable conqueror who dared and bore the nerve to burn his fleet of ships, when he landed with his troops on the coast of Gibraltar - an acronym of "Jabel alTariq" meaning "the mountain of Tariq". The Muslim conquest—by the Umayyad Caliphate—of the Iberian Peninsula in 711–718 marked the collapse of Visigothic rule. When the Muslim invaders seized control and consolidated their domain of the region, they remained tolerant of the Christian religion, but they also needed a place of cult for their own faith. In the 750s, they forcibly rented half of Cordoba's Christian Cathedral of San Vicente (Visigothic) to use as a mosque. In this period, the name "Al-Andalus" was applied to a much larger area than the present Andalusia, and in some periods it referred to nearly the entire Iberian peninsula. Islamic rulers of Hispania were economic invaders and interested in collecting taxes, they were not social invaders. Changes were mainly confined to geographical, political and legal conveniences. Al-Andalus remained quite connected to its sister Christian states under Islamic rule, As such trade routes between it and Constantinople and Alexandria remained fluent. Roman/Byzantine ideas and customs flowed on between post Byzantine regions. This Bizantine/Roman architecture is such an example. On 3 August 1492 Christopher Columbus left the town of Palos de la Frontera, with the first expedition that resulted in the Europeans learning of the existence of America. Many Andalusians participated in the expedition that would end the Middle Ages and signal the beginning of modernity. Contacts between Spain and the Americas, including royal administration and the shipping trade of Spanish colonies for over three hundred years, came almost exclusively through Andalusia. As a result, it became the wealthiest, most influential region in Spain and amongst the most influential in Europe. However, Habsburg ambitions elsewhere in Europe diverted much of the colonial wealth to war. Discontent with this situation culminated in 1641, when the Andalusian nobility staged an unsuccessful conspiracy to gain independence in 1641 from the provincial government of the Gaspar de Guzmán, Count-Duke of Olivares. 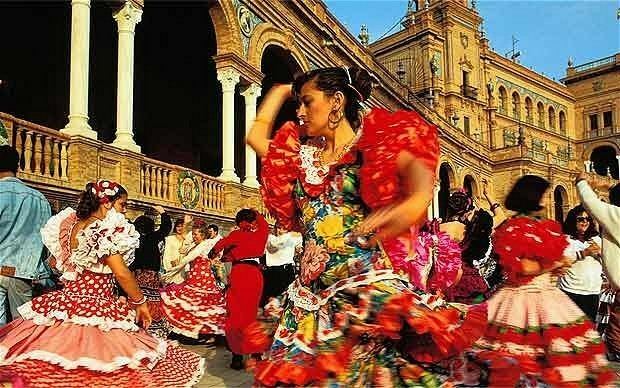 The culture of Andalusia has been shaped by its particular history and geography, as well as its complex flows of population. 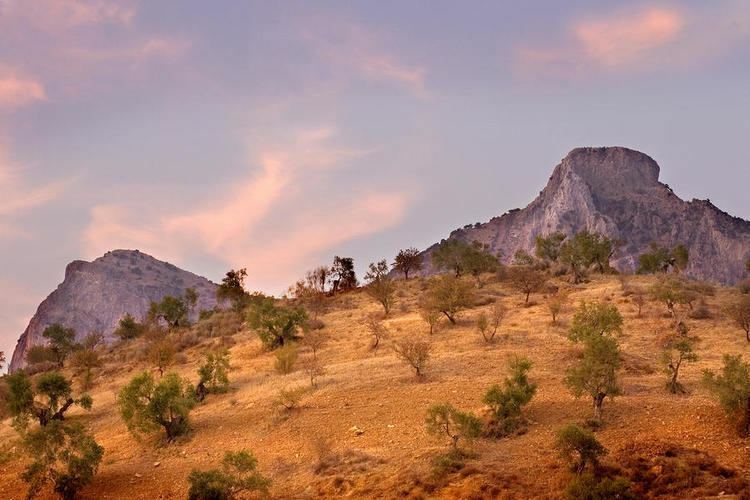 Andalusia has been home to a succession of peoples and civilizations, many very different from one another, each impacting the settled inhabitants. The ancient Iberians were followed by Celts, Phoenicians and other Eastern Mediterranean traders, Romans, migrating Germanic tribes, North African Muslims, and the Castilians and other Spanish of the Reconquista. All have affected Andalusian identity and culture, which was already delineated in the 19th century and diffused widely in the literary and pictorial genre of the costumbrismo andaluz. As in sculpture, there were Sevillian and the Granadan schools of painting. The latter has figured prominently in the history of Spanish art since the 15th century and includes such important artists as Zurbarán, Velázquez and Murillo, as well as theoreticians of art such as Francisco Pacheco. The Museum of Fine Arts of Seville and the Prado contain numerous representative works of the Sevillian school of painting. 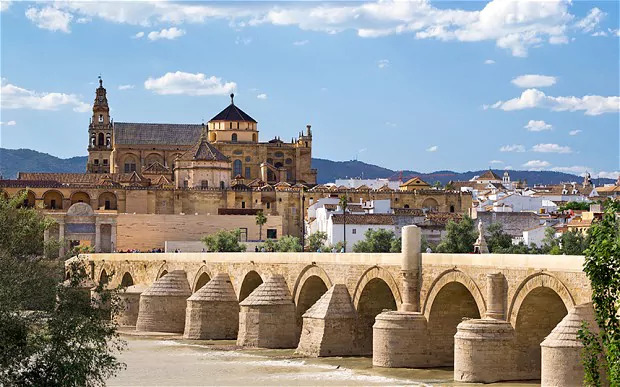 Andalusia plays a significant role in the history of Spanish language literature, however not all of the important literature associated with Andalusia was written in Spanish. Before 1492, there was the literature written in Andalusian Arabic. Hispano-Arabic authors native to the region include Ibn Hazm, Ibn Zaydun, Ibn Tufail, Al-Mu'tamid, Ibn al-Khatib, Ibn al-Yayyab, and Ibn Zamrak or Andalusian Hebrew poets as Solomon Ibn Gabirol. Ibn Quzman, of the 12th century, crafted poems in the colloquial Andalusian language. The largest number of Olympic appearances were by the Malagueña swimmer María Peláez (five appearances), the Granadan skier María José Rienda (four), the Sevillian rider Luis Astolfi (four), and the Sevillian rower Fernando Climent Huerta (four, including a silver at Los Angeles, California, US, in 1984. Andalusia has had a sister region relationship with Buenos Aires, Argentina, since 2001.